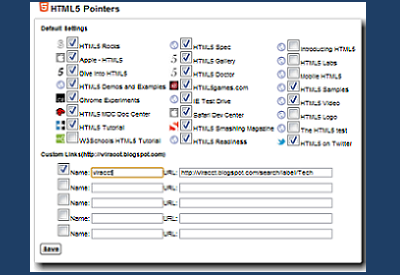 Research on Entrepreneurship, Startups and Ideas: HTML5 Pointers! 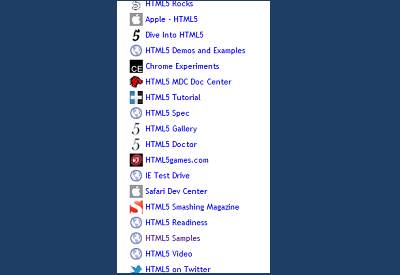 It's a chrome extension which offers a nice collection of HTML5 resources. You can customize the resources. 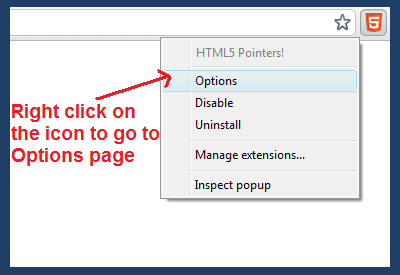 Right click on the extension icon and select 'Options'. Options page will appear. Select/unselect the checkboxes against the name to make it appear/disappear in the list. You can also add a link not listed by default. Add links and names for them in the 'Custom Links' section. Select the checkboxes against them and click on 'Save'. 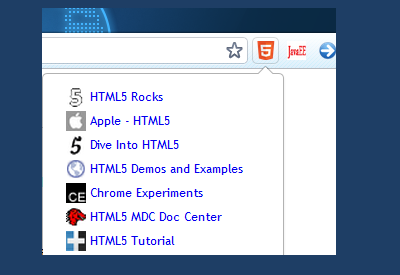 The next time you click on the extension icon you'll find your customized set of links available!